1. swelling or other distention. 2. a condition of normal tension in a cell or group of cells; fullness. adj., adj tur´gid. skin turgor a reflection of the skin's elasticity, measured by monitoring the time it takes for the skin of the forearm to return to position after it is lightly pinched between the examiner's thumb and forefinger. Normal turgor is a return to normal contour within three seconds; if the skin remains elevated (tented) more than three seconds, turgor is decreased. Assessing skin turgor. From Lammon et al., 1995. /tur·gor/ (-ger) condition of being turgid; normal, or other fullness. The normal fullness or tension produced by the fluid content of living cells or of blood vessels and capillaries: leaves that have lost turgor. the expected resiliency of the skin caused by the outward pressure of the cells and interstitial fluid. Dehydration results in decreased skin turgor, manifested by lax skin that, when grasped and raised between two fingers, slowly returns to a position level with the adjacent tissue. Marked edema or ascites results in increased turgor manifested by smooth, taut, shiny skin that cannot be grasped and raised. Elderly people normally do not have "good" skin turgor because of a lack of skin elasticity, an expected part of aging. An evaluation of the skin turgor is an essential part of physical assessment. the cell state when it has taken in a maximum amount of water, causing distension of the protoplast. The term is used mainly in connection with plant cells, which have a maximum size when turgid that is governed by how much the cellulose cell wall will stretch. See WALL PRESSURE, PRESSURE POTENTIAL, TRANSPIRATION. n the normal resiliency of the skin caused by the outward pressure of the cells and interstitial fluid. 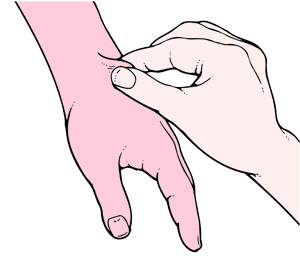 Dehydration results in a decreased skin turgor, manifested by lax skin that, when grasped and raised between two fingers, slowly returns to a position level with the adjacent tissue. the condition of being turgid; normal or other fullness. The turgor potential (p) was measured by determination of difference between water potential (w) and osmotic potential (s) values. In general, marked decrease in leaf water potential (Psw), turgor potential (Psp) and increase in osmotic potential (Pss) of maize plants were noticed under limited water supply (Fig. Finally, OA could play a role in maintenance of turgor and better water content of leaves, which might help the plant, under water deficit, to survive and maintain growth and metabolic activities so as to result, ultimately, in improved crop productivity. Leaf area relationship with water related parameters was similar as that of plant height at 75% FC; however water potential and turgor potential showed significant a sociations with leaf area even with control. This behavior shows the tolerance of quinoa to highly saline environments by acquiring salt ions and regulating leaf osmotic potential, thus sustaining turgor and transpiration (Jacobsen et al. According to Novais and Smyth (1999), before the loss of turgor and the folding of the leaves, both of which are common symptoms observed as a result of water deficiency in the field, there is a loss of productivity due to the absence of internal Pi accumulation capable of sustaining plant growth for long periods. The turgor generated by the appressorium is due to the glycerol accumulation which is required for cuticle penetration (18). Potassium plays an important role in maintaining cell turgor and osmotic balance under the salt stress. The rice leaf rolls when the specialized bulliform cells of the upper epidermis experience water loss , causing them to lose their turgor . She had normal skin turgor with no peripheral edema.